Obermeyer’s Thumbs Up Mitten is a warm, waterproof option for skiing and snow days. It protects with a waterproof-breathable fabric and includes 100g Permaloft insulation for warmth. A large Velcro closure opens wide making it easy to get little hands in and out. A soft microfleece lining makes for comfortable all-day wear, and the integrated nose wipe is sure to come in handy. After a long day, your little one is sure to give two warm, dry thumbs up. "Your glove sizing chart is all in number sizes. How does this translate to S, M, L, etc? " "The glove sizing is based on the age of the child. The sizing is as follows: XS- Age 0-1, Small- 1-2, Medium- 3-4, Large 5-6, and XL- 7-8." "I have a 5 year old boy. What size would fit him?" "He would need the size large!" "The sizing chart does not show sizes for gloves and mittens. What size Obermeyer Thumbs Up mitten should I get for a girl just over age 4?" "For a 4 year old I would go with size medium." "what size mittens would you recommend for a 6 year old girl?" "Based only on her age we would recommend a size Medium. The sizing however will depend on the circumference of her hand(around the largest part of her knuckles). If you can get that measurement we can give you a more accurate fit recommendation. " "hi! i am looking at the obermeyer thumbs up mittens for my daughter who is 2.5 years old....would i get an XS? " "Hi, I would like to order the girls Pico jacket and the carnival striped bibs. What color thumbs up mitten would blend? Also, what size can you recommend for my daughter ( her hand measures 6" around taken at the knuckle and 7" long from tip of middle finger to wrist)? Thank you!" "The mittens in Iris Purple, Wild Pink, Rosebud or Blue Bird would match great, and the large size should be a perfect fit! " "I need sizing info on toddler obermeyer mittens"
"What is the age of the child you are wanting to know the sizing for?" "Hi - I'm looking for a color thumbs up mitten that would match the Obermeyer Starlet Snow Suit Toddler(Carnival Stripe color) - for a petite 5.5 year old. Or are there other mittens that are a better match color wise?" "The best match would be the Wild Pink mitten. 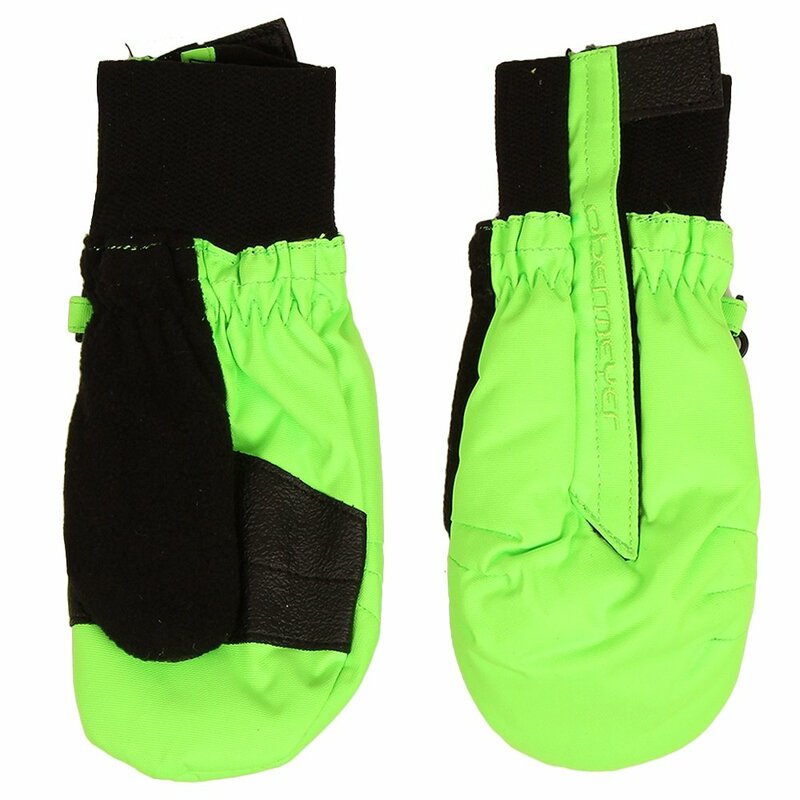 These are a great mitten for a 5.5 year old." "Hi! My daughter is six years old almost 7 not sure which size to go with . I measure her hand and it's 6 inches around and from her wrist to her finger tip is 5 inches long. What size would you recommend please ?" "The L is a good size for kids 6 to 7 years old!" The size was perfect and this glove is so easy to put on due to the long velcro section on the back of the glove. I purchased these mittens to go with the jacket I had ordered for my grandson. They matched the jacket perfectly even though one blue was called glacier blue and I forget what the other blue was called. I hadn't even noticed how the mittens closed,but the Velcro closure is so convenient, I will be looking for that from now on in any future mittens I get for him. I ordered size large which fit him to perfection but I don't think he will get two years out of them. However that is not the company's problem! I would definitely purchase these again.